Where is the parent orientation presentation template? DTS has created a template for a presentation to use in your parent orientation. Please make a copy of the slide deck so you can customize the information to fit your school. The template is named 3.0 Parent/Guardian Orientation. If you need assistance in putting your presentation on your school LTP site, please contact your Instructional Technology Coordinator (ITC). What information should I be sure to mention in our presentation? Affordable internet options for those families who cannot afford it. Click here for more information. What questions should I be prepared to answer from parents in our presentation? The Parent FAQs. and the extended question lists have been compiled from parent questions received from our readiness sites. What should be included in the parent packet you distribute as part of the LTP? What else would be useful to include in the parent packet? Click here for more information on affordable internet and wifi at home for those families who cannot afford it. How will insurance fees be assigned and what do I need to tell parents? At the start of each school year, DTS will assign an optional iPad insurance fee to each student. Parents who choose to opt into the insurance pool will need to make a payment toward the premium before the insurance window closes (typically 30 days after the start of school). These dates will be communicated to you and available on the LTP Calendar. Before the window opens, send a message home to parents to communicate. A sample letter can be found here. If parents pay for insurance in person, it is important to note the student name in the payment so that it can be recorded correctly. How do I determine if there are any outstanding fees that will keep a student from having an iPad assigned to them or from participating in the current insurance pool? 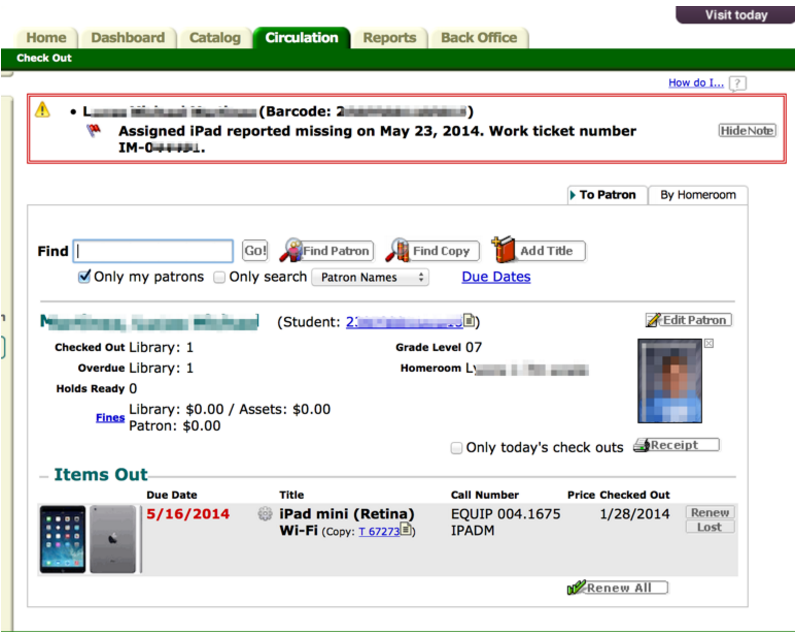 Use Infinite Campus to run the appropriate Ad-hoc report. Any students with outstanding iPad repair or loss fees, even if from another school, should not have an iPad assigned to them and should not be able to join the current insurance pool until those fees are paid. You should inform parents prior to your distribution dates of any issues that may keep their student from receiving an iPad. Service is an option for families who cannot afford to pay for a lost or damaged iPad. Please see the documents on service and loss for details. What do parents need to know about creating an Apple ID? For students 13 and above, share information with parents on creating an Apple ID without a credit card. (This information is linked on the parent page of your school’s LTP site.) Encourage parents to set up a unique Apple ID for their student rather than using a shared parent ID to simplify any shared calendars, contacts, or messages that may be a part of a parent’s account. For students below the age of 13, no Apple ID is needed. What should I do to ensure my devices are ready for checkout? For new device deployments, DTS will deliver boxes of iPads (in case), cables, and chargers about a week before your first distribution date. Ensure that you have accurate inventory for your anticipated student count. DTS will also deliver a set of cables to provide to your incoming 6th or 9th grade class annually. If you are distributing over multiple days, set aside any devices that have issues and submit a work order as soon as possible so they can be reset or replaced to be distributed on following nights.